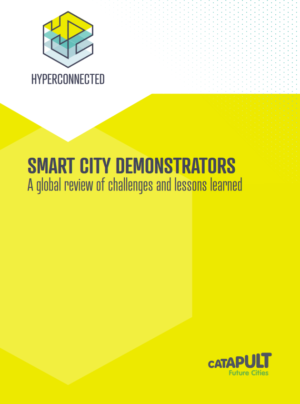 Smart City Demonstrators is an extensive research report by Future Cities Catapult aiming to shed light on what can be learned from existing smart city solutions and services and inform the next generation of city-based projects. these complex challenges? Smart City Demonstrators is an approach to demonstrating the value of data at city-scale. The digital technologies deployed help address environmental, economic and financial challenges. Providing insights into how these demonstrators have tackled barriers and found new innovative approaches and opportunities will help not only these cities but others that follow in their digital footsteps to deliver successful outcomes in the years to come. Read and download the whole report here.